Demotivational posters with girls asses a solid dose of good humor and visual ecstasy 🙂 Enjoy! Feelings and associations that girls asses awake, as well as the preferences and tastes are the subject of endless jokes and frivolous stories. So, it is not surprising that girls asses have become a frequent guest on the demotivational posters. 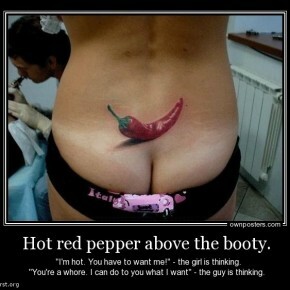 We have selected for you the best in our opinion demotivational posters with girls asses so you can admire them below.